As I was putting things away from Christmas I realized I did have a finish in 2014 my Red and White Farmers Wife quilt. It was a cold rainy day but I carried it out onto the porch and managed to get a couple of pictures. It would be nice to have a fence, a wall or anyplace I could hang my quilts to take pictures of the entire quilt. It’s really quite a large quilt.. 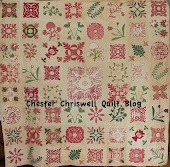 I made most of the blocks using the Marti Michell templates while participating in a Farmers Wife sew along she held. Joining in with a group seems to help keep me on track. Love your red and white farmer's wife quilt. Very nice finish in your FW! I love it. Also, I've been drawn in to the P3 Baskets BOM...that you share a couple of days ago. I love the design and love baskets so would like to start this one soon. Maybe after the Flags of AmerRev and my Lucy Boston. I am like you in that I like to have a few projects going at the same time. :) Will you start it before you finish with all of your grapes? Thanks for sharing your finish! Outstanding !!! Love it ! Pretty, Pretty!! What a nice layout you chose! I have never been a big fan of Farmer's wife pattern, but I may rethink this. 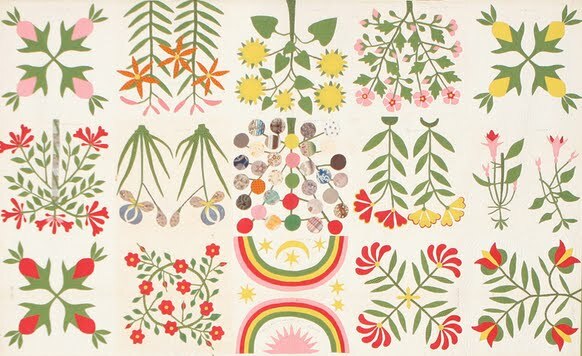 Making this in ree/white makes this a very beautiful quilt! Great job! 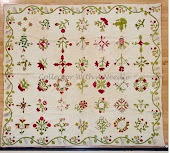 This is the first Farmer's Wife quilt I've seen in Red & White. Congratulations on an amazing finish for 2014! What a beautiful quilt! Red is my favorite color and I love lots of small piecing, so this is right up my alley! Love it! I love red & white quilts. A beautiful finish on your quilt. Nancy, it's beautiful! I do love red and white quilts. Beautiful finish, thank you for sharing you photos.Love the setting of the blocks. Thank you for sharing this wonderful Farmer's Wife that you interpreted in just red and white. It's really beautiful like all of your projects. I like the crispness of the red and white and how the blocks appear to float on the background! Thanks for your kind comment on my blog. I love the quilts you made. The applique is awsome!